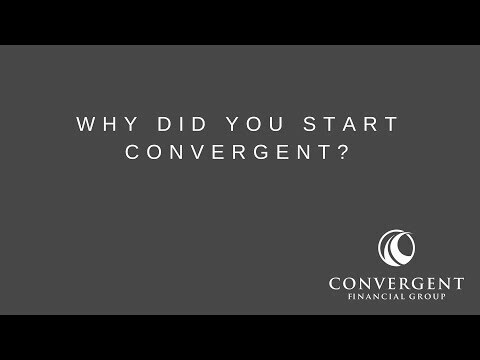 Jeremy is the founder and lead advisor of Convergent Financial Group. Before starting Convergent Financial Group, Jeremy was a co-owner and lead advisor of E&R Wealth Management. Over the past decade, he has worked in various sides of the financial industry, including a fee-only wealth management firm, an independent broker dealer, and an insurance company. His experience brings expertise in planning for the future, investments, insurance, taxes, and estate planning. He holds a Bachelor of Science in Civil Engineering from Clemson University. Do we have enough money saved as collateral against potential market downturns during retirement? First, congratulations on being in a position to retire in your 50s. That puts you in a very small percentage of folks, especially without pension income. I am impressed. How to achieve downside protection has been discussed by investors for decades. If you were to do a quick search, the first thing you would see would be "Why you should buy an Annuity". In full transparency, I don't recommend annuities to clients, so you will get a biased investment based approach from me, but I have to acknowledge that annuity companies do a great job of selling the idea of downside protection. Think about it, they say if you put your money with us, we will guarantee your income or give you principal protection, etc. Those "knowns or guarantees" are real enticing. Wouldn't having certainty on a future income stream or a guarantee on downside protection make you feel secure and confident. Transferring that risk to an insurance company is the opposite of investing. To invest is an expectation that the current asset will appreciate, but with an acknowledgment that there is a risk that the asset will not. The key to investing is balancing that risk with the expected return of each asset used. The story of “Why to Diversify”. Assuming that you had the worst timing on the planet and you put all of your money in the S&P 500 Index at the height of the tech bubble, August 2000, or just prior to the Great Recession, October 2007, you would of needed to not distribute from your investments for 7 years or 5.5 years respectively. This is oversimplifying everything to make a point...therefore no dividends and reinvestments. But this does make the point that holding equities long term will work, including through the most recent financial down turns. So, how does this relate to downside protection. If we focused on the Great Recession, you could of avoided a loss in equity holdings if you had alternative cash resources to distribute from for a full 5.5 years. You mentioned that the dividend stocks and 401K payouts were providing $67,000 of income but all you needed was $50,000. Based on that assumption your current strategy would have to be reduced by about 25% ($67K x 0.75 = $50K) to put you at the bottom level of your income needs. Each CD is enough to cover 1 year of comfortable income. Therefore, I believe that you have plenty of downside protection... in summary that is a 25% downside of current investment assets and you have 4 years of cash equivalent assets to be used in the event you need to buffer a loss greater than the 25% downside referenced. Based on the information you provided, I believe you don't need any more cash or CD assets. I would caution you on the distribution of 401K assets. You should check to make sure you are not going to be subject to a 10% penalty for taking distributions prior to age 59.5. The key to the distribution of investment assets is managing the risk verse return profile of each asset, and managing taxes. It is about spendable money, not gross distributions. Keep thinking about protection and how you can distribute from different buckets during different market conditions. Hope this helps and congratulations again on being in the position to retire before most of your peers. Should I purchase an indexed universal life insurance plan or save money for retirement in a Roth IRA? Full disclosure, I am an investment guy, so I lean towards “buy term and invest the difference”. I started my financial career with a mutual life insurance company. They taught me from day one, that there was no better way to invest other than through life insurance vehicles. After a short period in life insurance sales, I transitioned to a wealth management firm and didn't look back. You should go with the Roth IRA and this is why. The sales literature for a life insurance plan will focus on the protections of the index features and the tax advantages of the life insurance product. You mentioned paying tax on the Roth IRA, therefore I am assuming that you are talking about using post tax dollars to fund the Roth. The same would apply for funding a life insurance premium. So the real question is about comparing the accumulation and distribution of both investment vehicles. The math matters when comparing these options. When considering a life insurance product, please think of the life insurance vehicle like a piece of investment real estate, but one that is mortgaged with your life. You pay down that mortgage over time, with fees of course (cost of administration and insurance) and when the mortgage is finally paid off, or you have accumulated enough equity in your policy, you are allowed to borrow back some of that equity with more fees (interest on the loan). The life insurance representative will tell you not to worry about the interest because the tax “advantages” will offset the fees. And if they are trained well, he or she will mention the death benefit will ultimately pay off the loans. You shouldn’t care about how the product ends because you will be dead anyway, right… Once you “look under the hood” the structure of the life insurance product will start to appear extremely similar to a reverse mortgage. Trying Googling "Reverse Mortgage" and see what the public thinks about that product. Life insurance folks believe in their products, I give them that. In my opinion, life insurance is great for the beneficiary, not for the insured. Don’t misunderstand me, you should have life insurance if life insurance is needed, but it should not be used as an investment vehicle. The Roth allows your contributions to grow tax deferred and if used properly can be distributed with out tax implications during your retirement years. It will give you more options and additional long term benefits. Of course tax laws could change, but as the current laws are written, I would place my bet on the Roth. Should I take out a whole life insurance policy on my child? I would recommend an investment fund and this is why. When you use a life insurance as an investment vehicle your premium payment will be divided into three parts. First, a portion of the premium will go towards the cost of insurance. For a child this is going to be small, it is to cover the risk of the insurance company paying out a death benefit. The second portion will go toward the investment base in the policy. For a whole life policy this is usually based on US treasury rates and will be close to the interest amount provided with a bank savings account. The last part is not discussed, it is the cost that goes to cover the insurance company's operation and sales force.... (this is how they pay the sales person). The insurance company usually pays the insurance representative half of the premium received over the first year and then a smaller percentage each subsequent year the policy is maintained. In order to protect the amount paid to the sales person, the insurance company will require you to keep your money in the policy for a period of time. This is to ensure if the policy lapses (is stopped) their payout is covered. This is where the idea of “surrender charges” comes from. If you look at their illustration, this is also why the cash value is so small in the first couple of years. What they don't tell you is you can't take all of your money out of the policy without surrendering the policy. Let's assume that the policy grows to $25,000 in value 20 years from now, you can absolutely access some of the cash, but not all of it, a portion of the cash value has to remain in order to fund the policy going forward. Therefore, if you surrender the policy to get access to all of the dollars, you are going to forgo the tax advantages promised. If you surrender your cash value life insurance policy, any gain on the policy will be subject to federal (and possibly state) income tax. ... Your basis is the total premiums that you paid in cash, minus any policy dividends and tax-free withdrawals that you made. Something a life insurance policy does really well is it requires policy holders to make premium payments (Forced Savings). If you are someone that can stick to systematic savings, then I would forgo purchasing a policy. If you need insurance, buy insurance, if you want to invest, then invest. I wouldn't do both in the same product. If you are able to accept market risk, then I would recommend investing in an indexed ETF fund like SPY. The SPDR® S&P 500® ETF Trust seeks to provide investment results that, before expenses, correspond generally to the price and yield performance of the S&P 500® Index (the “Index”). There are different ETFs and they operate a great deal like Mutual Funds but with lower expenses. Just do a quick search and find an ETF that meets your investment objectives. If you want something less volatile, then I would invest directly into a CD or Savings account. Rates are rising and you can find savings products available now that are paying 2 to 2.5% interest. How do you withdraw money from your portfolio once you're retired? If you look at most well diversified portfolios, models will indicate that distributing around 4% of your portfolio annually will give you a high probablity of the assets lasting for 30 years, if the distribution is around 5% then the probablilty is shortened to about 20 years. Now you have to decide if you want to distribute monthly, quarterly, or annually. With each option the timing of the distribution becomes more important. This is because if your portfolio is invested, its value will change daily and every time you sell you either lock in a gain or a loss. Most investors are going to need money all year long so the way we advise clients to distribute is monthly. We also have clients divide the portfolio into three types of assets. (Cash, Bonds, and Stocks) We would suggest that you start with a 4% distribution rate. In order to cover the distribution rate, you keep a minimum of 5% of the portfolio in cash and distribute from that bucket each month. The remaining 95% of assets should be split between bonds and stocks. If you can target a yield and dividend rate of 2-3%, then that will leave you a gap of about 2-3% to fill with capital appreciation. You can request that all dividends and yield go directly to cash. If you keep fees low and make decisions to sell from bonds or stocks based on the current market conditions, you can manage with relative ease. The key to maintaining the strategy is to make sure your bond and stock mix does not go down too much but still has the opportunity to appreciate engough to keep up with your distributions. The goal should be to build something that will allow you to also increase your distributions to cover inflation. For example, if you have $1M in your portfolio and you are distributing 4%, that is a $40,000 annual distribution for year 1, in year 2, your distribution should go up for inflation, instead of $40,000 it should be $41,200 (3% Inflation). Keeping the percentages of distribution locked to your portfolio amount is difficult assuming that the value of the portfolio is changing daily, so the key is to have flexibility but not to over distribute from your portfolio. If you take too much during a down market, you will not have enough capital for the portfolio to appreciate back to the previous levels. I hope this is helpful, just remember we are just talking about total numbers and not talking about tax impacts. Tax implications are equally important in distributing portfolio assets.